HomeAuthorsJeff RainforthAmputee Vet: “Billionaires For The Wall Are Coming!” Here We Go!! 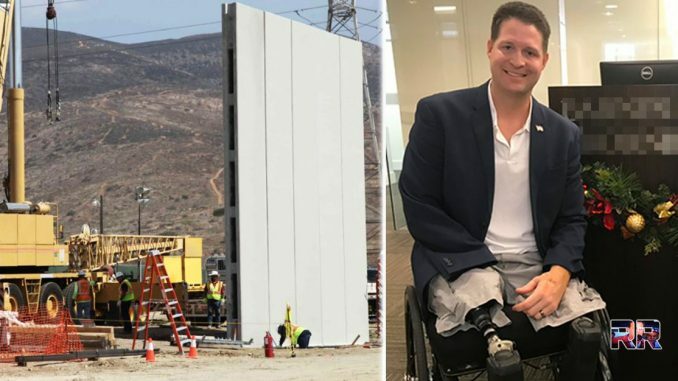 Amputee Vet: “Billionaires For The Wall Are Coming!” Here We Go!! I chatted with Airman Kolfage yesterday & today & he told me that he & the team are extremely busy, and they are very close to announcing the all-star team that will make the wall a reality. Those on the team include high-level political powerbrokers, titans of industry, and conservatives who work in Hollywood, including one name you will know from the over 100 movies & TV series he has been in. Hats off to this man Brian Kolfage. That will show Schumer and Pelosi how much the people want and need that wall. I am on a pension, but if it becomes absolutely necessary I will make a contribution also. I am also an immigrant, now a citizen and I have nothing against immigrants if they come legally, but what is happening right now is absolutely dangerous and I totally support Brian Kolfage. Sending my love to this man and his family. Thank you so much Brian! You are truly inspiring. I am donating by check wish I could do more. where do I donate to? thats not a scam?